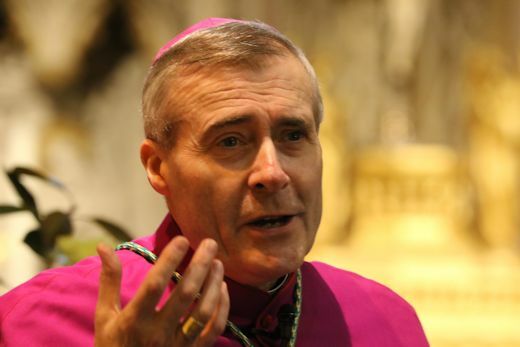 The Bishop of Shrewsbury has declared 2017 to be a “Year of Mission” for the Diocese. In an Advent pastoral letter, the Rt Rev. Mark Davies said the most important factor in the future flourishing of the Church was a “renewed encounter with Christ”. “On my visits to parishes, I rarely speak to you of problems with finances, diocesan re-structuring, or numbers,” the Bishop said in the letter read out in churches and chapels across the weekend of the First Sunday of Advent. “All these practical questions have their importance, but they are not how the Shrewsbury Diocese lives,” he said. “I always want to speak of Christ, and of our need to meet Him anew in the Holy Eucharist and in the Sacrament of Penance and Reconciliation. “It is from this renewed encounter with Jesus Christ that the whole mission of the Church flows. That mission is entrusted to each one of us personally in the celebration of every Mass. “It is expressed explicitly in those final words of the Liturgy when we are commissioned to “Go forth!” in the strength and light of the Eucharist. The very word ‘Mass’ comes from the Latin ‘missa’, meaning ‘to be sent’ with a mission. Bishop Davies reminded the faithful that mission is lived principally in the places where people live and work.